Apa nasib anda bila kleptokrat tersungkur ? Jika berada dipihak yang benar kenapa takut? 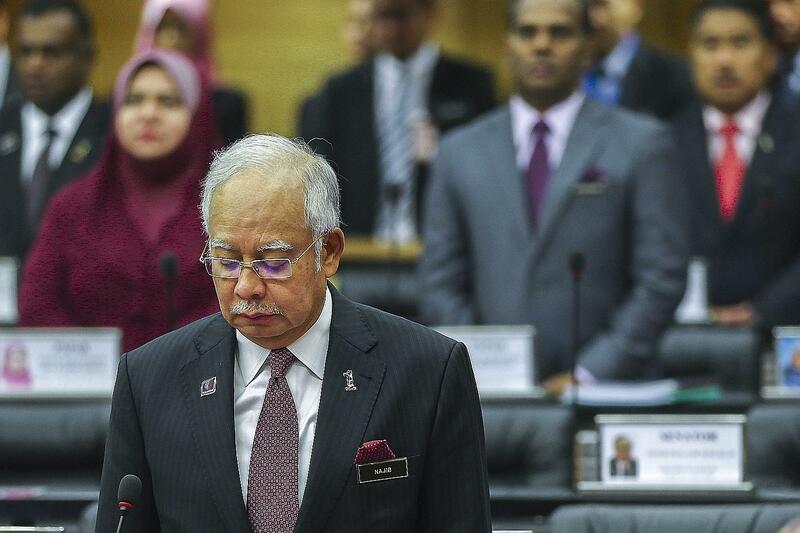 Jika benar Presiden Umno Datuk Seri Najib Razak tidak mencuri kenapa sehingga kini siasatan terhadap kes 'samun berkumpulan' 1MDB masih belum ada kesudahannya? Jika Suruhanjaya Siasatan DiRaja boleh ditubuhkan, selepas 30 tahun, untuk menyiasat KERUGIAN Bank Negara Malaysia kenapa kes kleptokrasi terbesar dalam sejarah dunia moden tidak diendahkan oleh pihak berkuasa kita? Penjawat awam, khususnya penguatkuasa undang-undang, harus sedar akan tugas dan tanggungjawab sebenar mereka adalah kepada rakyat dan negara. Jangan biarkan perkhidmatan awam diperkudakan demi kelangsungan seorang kleptokrat yang terdesak. Bila kleptokrat tersungkur, apa nasib anda? Beberapa hari sebelum Presiden Robert Mugabe dari Zimbabwe tumbang baru-baru ini beliau dikatakan mengulangi ungkapan 'hanya tuhan yang melantik saya boleh melucutkan jawatan saya' dengan angkuh, disamping isteri beliau Gucci Grace. Beberapa hari selepas itu Tuhan memakbulkan doa rakyat Zimbabwe. Singapore must be proud of her Prime Minister who is man enough to grab the bull by its horn and face his critics, even if the critics are just siblings. It may be a personal issue but Lee Hsien Loong is wise enough to note that his family feud has tarnished the seat of the prime minister and the government of Singapore. Such is his respect and responsibility to the office of the Prime Minister. His Loong's late father Mr Lee Kuan Yew would certainly be proud of his eldest son for walking in his footsteps, for standing tall with his morals intact. Bravo Mr Prime Minister ! 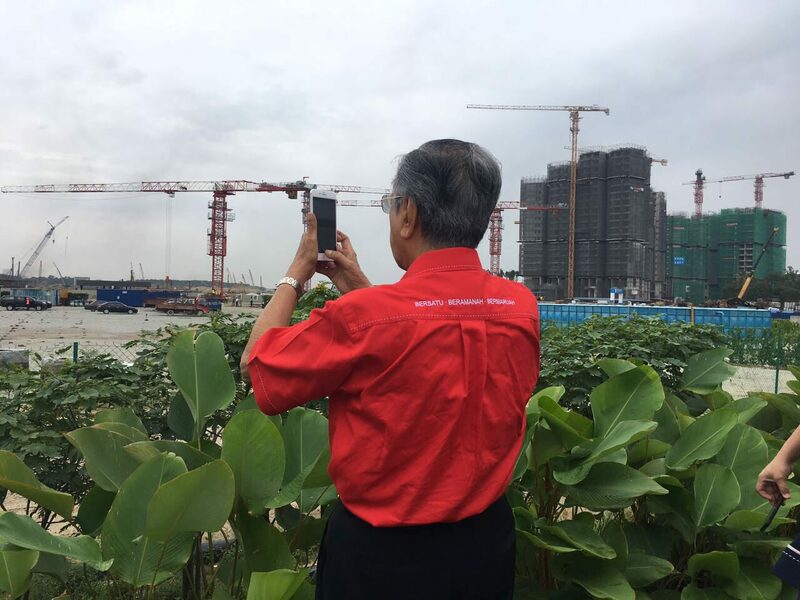 Meanwhile Malaysians on this side of the causeway are hoping that Hsien Loong's counterpart would take a leaf or two from his conduct as a leader, prime minister and an elected representative of the people. In Malaysia the state of affairs are very different although Najib Razak the Prime Minister is embroiled in a far more serious scandal which is criminal in nature. 1MDB's international financial scandal and the US Department of Justice (Kleptocracy Asset Recovery Initiative unit) investigations is now world news. Malaysia's international image today is at its lowest ebb. Almost every international news outlets from Australia to Africa and Europe have been reporting the biggest kleptocracy scandal in the history of the USA. The root of the scandal is in Malaysia and Najib Razak is very much in the midst of it. DoJ has all the evidence. 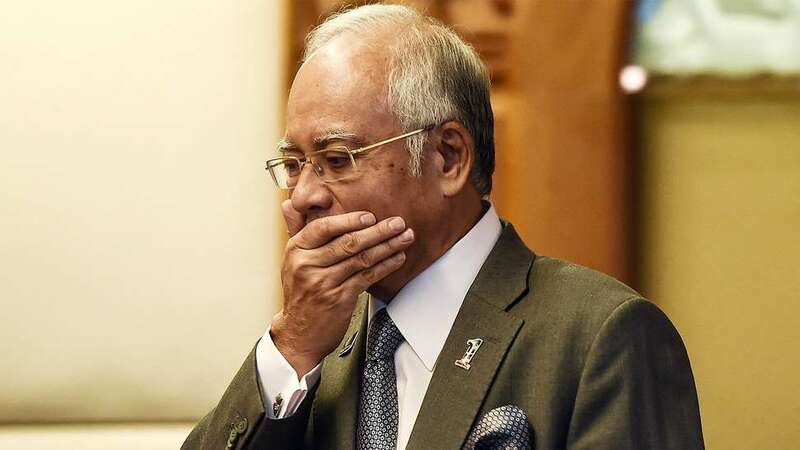 Billions of ringgit in funds stolen from 1MDB have been laundered in the US and investigations show that RM2.6billion has made its way into Najib Razak's personal bank account. DoJ has also exposed a more than RM100 million pink diamond link to Najib's wife Rosmah. In Singapore the prime minister has apologised over a personal family feud and presented himself for public scrutiny but in Malaysia the embattled prime minister's lackeys are screaming at the top of their voice demanding to know who reported the crime to DoJ. In Singapore the prime minister has called on all Members of Parliament to scrutinise/debate the handling of his family feud and the matter's negative impact on his position and that of the government. 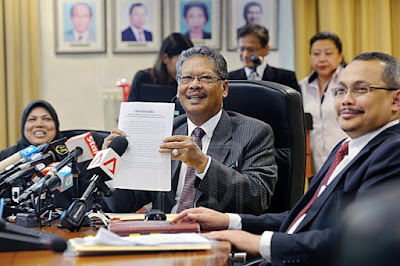 In Malaysia the Auditor General's report on 1MDB has been classified a secret under the Official Secrets Act although such classifications of an AG's report is unheard of and could most probably be against the constitution. The Speaker of Dewan Rakyat in the Malaysian parliament even threatened to quit if the 1MDB scandal was debated in the house. Any debate on the matter was later disallowed on the pretext of being subjudice. In Malaysia the prime minister is bending over backwards to politicise the 1MDB scandal although its is purely criminal in nature. The Attorney General who acts more like the prime minister's counsel has unilaterally cleared Najib Razak of any wrongdoing despite RM2.6 billion dollars making its way into Najib's personal account. A multi agency task force that initially investigated the 1MDB scandal was also disbanded and the then Attorney General sacked. Hsien Loong of Singapore too could have attempted to silence his critics and threaten to sue anybody who deliberated on his family feud on social media but he did not. Probably he didn't have anything to hide. The Singapore PM came out to clear the air because 'he is a public servant' but Najib has gone to court to argue that as prime minister he is not a public servant. In Malaysia exposing the 1MDB scandal and the theft of billions of ringgit in public funds is treated as crime. Whistle blowers and critics are taunted and hunted. Instead of wanting to nail the thieves who robbed the nation the ruling party's political operatives and lackeys are questioning who reported the crime. Whistle blowers are branded as traitors in a climate where truth is treated with contempt. Such is the tale of two prime ministers who are separated by a narrow body of water but a gaping difference in integrity. The Justice Department announced today the filing of civil forfeiture complaints seeking the forfeiture and recovery of approximately $540 million in assets associated with an international conspiracy to launder funds misappropriated from a Malaysian sovereign wealth fund. Combined with civil forfeiture complaints filed in July 2016, seeking more than $1 billion, and civil forfeiture complaints filed last week seeking approximately $100 million in assets, this case represents the largest action brought under the Kleptocracy Asset Recovery Initiative. Assets now subject to forfeiture in this case total almost $1.7 billion. Acting Assistant Attorney General Kenneth A. Blanco, Acting U.S. Attorney Sandra R. Brown of the Central District of California, Assistant Director Stephen E. Richardson of the FBI’s Criminal Investigative Division, and Deputy Chief Don Fort of the IRS-Criminal Investigation (IRS-CI) made the announcement. According to the complaints, from 2009 through 2015, more than $4.5 billion in funds belonging to 1Malaysia Development Berhad (1MDB) was allegedly misappropriated by high-level officials of 1MDB and their associates. 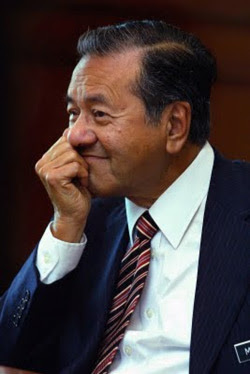 1MDB was created by the government of Malaysia to promote economic development in Malaysia through global partnerships and foreign direct investment, and its funds were intended to be used for improving the well-being of the Malaysian people. 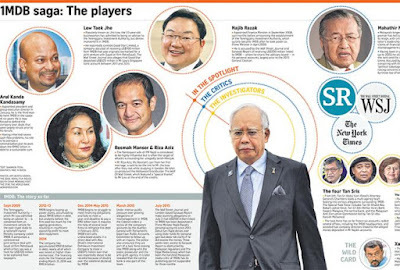 As alleged in the complaints, the members of the conspiracy – which included officials at 1MDB, their relatives and other associates – diverted more than $4.5 billion in 1MDB funds. Using fraudulent documents and representations, the co-conspirators allegedly laundered the funds through a series of complex transactions and shell companies with bank accounts located in the U.S. and abroad. These transactions allegedly served to conceal the origin, source and ownership of the funds, and ultimately passed through U.S. financial institutions to then be used to acquire and invest in assets located in the U.S. and overseas. The complaints filed today allege that in 2014, the co-conspirators misappropriated approximately $850 million in 1MDB funds under the guise of repurchasing certain options that had been given in connection with a guarantee of 2012 bonds. As the complaints allege, 1MDB had borrowed a total of $1.225 billion from a syndicate of banks to fund the buy-back of the options. The complaints allege that approximately $850 million was instead diverted to several offshore shell entities. From there, the complaints allege, the funds stolen in 2014, in addition to money stolen in prior years, were used, among other things, to purchase a 300 foot luxury yacht valued at over $260 million, certain movie rights, high-end properties, tens of millions of dollars of jewelry, and artwork. A portion of the diverted loan proceeds were also allegedly used in an elaborate, Ponzi-like scheme to create the false appearance that an earlier 1MDB investment had been profitable. As alleged in the earlier complaints, in 2009, 1MDB officials and their associates embezzled approximately $1 billion that was supposed to be invested to exploit energy concessions purportedly owned by a foreign partner. Instead, the funds were transferred through shell companies and were used to acquire a number of assets, as set forth in the complaints. The complaints also allege that the co-conspirators misappropriated close to $1.4 billion in funds raised through the bond offerings in 2012, and more than $1.2 billion following another bond offering in 2013. The FBI’s International Corruption Squads in New York City and Los Angeles, and the IRS-CI are investigating the case. Deputy Chief Woo S. Lee and Trial Attorneys Kyle R. Freeny and Jonathan Baum of the Criminal Division’s Money Laundering and Asset Recovery Section and Assistant U.S. Attorneys John Kucera and Christen Sproule of the Central District of California are prosecuting the case. The Criminal Division’s Office of International Affairs is providing substantial assistance. The Kleptocracy Asset Recovery Initiative is led by a team of dedicated prosecutors in the Criminal Division’s Money Laundering and Asset Recovery Section, in partnership with federal law enforcement agencies, and often with U.S. Attorney’s Offices, to forfeit the proceeds of foreign official corruption and, where appropriate, to use those recovered asset to benefit the people harmed by these acts of corruption and abuse of office. In 2015, the FBI formed International Corruption Squads across the country to address national and international implications of foreign corruption. Individuals with information about possible proceeds of foreign corruption located in or laundered through the U.S. should contact federal law enforcement or send an email to kleptocracy@usdoj.gov(link sends e-mail) (link sends e-mail) or https://tips.fbi.gov/. 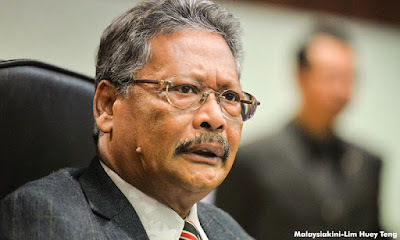 Attorney General Apandi Ali may want to take a second look at the 1MDB scandal before its too late for him. Inspector General of Police Khalid Abu Bakar appears a bit busy clarifying his much talked about Gopi-link. 1. There seems to be no end to it for Najib and the country, one crisis after another, the latest being the infighting in FELDA. It would seem more and more negative information is coming out which may implicate him, especially on the 1MDB saga, which the DOJ in the US (and perhaps in other countries too) is expected to pursue criminal proceedings against people close to him. 2. It does not matter who is right or wrong anymore, the country is heading towards a terrible economic slowdown and a major social political confrontation, which would benefit no one. The race/religious politics is going to complicate things more and make it easy for innocent people to suffer from violence and collateral damage. Past experiences from other countries suggest that a violent upheaval seeking vengeance and retribution may not be a sustainable answer and may bring more instability, which the country can ill-afford at this time. 3. A recent secret poll on the outcome of the next general election suggested that BN might lose badly. For example, it predicted that BN would only win in 3 states - Sarawak, Terengganu and Pahang. 4. Najib has implied openly on 8 June 2017 that he is facing much stress as the PM and he was not getting enough sleep, which would definitely have an adverse and severe effect on his health and well-being. 5. Najib must accept that enough is enough. The sooner the better for him and the country, before the situation gets out of control. Time and his health are not on his side as the deadline (August 2018) for the election draws closer. What if the secret poll is right and the tide turns against BN, by then and whatever “Plan B” he may have, may not work anymore? He is still in a good position to negotiate a workable and peaceful exit to save himself and his family and also to preserve whatever legacy that is left of his great father. 6. The whole world and the country is watching his every move closely and it is time that he must demonstrate responsibility, leadership, humility and common sense for the sake of the country and the safety of him and his family. 7. It may be now or never as history may also judge him harshly if he does not do the right things now and he ends up as the loser in the end. Note: The above is a jotting from a senior member of Barisan Nasional and an old friend of Najib who believes there is still room for manoeuvre. I know exactly how Najib will be remembered. Kenapa samseng Umno hina Sarawak ? Nampaknya kelakuan kurang ajar tanpa adab, melampaui norma dan tatasusila manusia bertamadun sudah menjadi perkara biasa. Dahulu kelakuan demikian hanya terhad kepada penjenayah dan samseng jalanan kini tetapi kini ianya telah merebak ke peringkat atas. Dari penyampu sampah yang meroyan mengaku dirinya imam kepada Perdana Menteri yang menghina rakyat sebagai bangsat dan menteri mengaku dirinya samseng, kelakuan kurang ajar ini sedang tular. Kejadian terbaru yang amat memalukan rakyat Malaysia adalah tindakan menteri KANAN Umno Nazri Aziz yang menghina seorang pemimpin kanan Parti Pesaka Bumiputera Sarawak (PBB) dimajlis sempena bulan Ramadan. Walau apa pun perkara yang diulas atau didebat kata-kata yang dilemparkan Nazri terhadap Karim, yang juga seorang menteri kerajaan Sarawak, jelas tidak beradab dan amat kurang ajar. KENYATAAN Nazri, seperti laporan di-atas, menimbulkan persoalan kenapa Ahli Majlis Tertinggi Umno ini sanggup menghina seorang pemimpin kanan kerajaan Sarawak secara terbuka? Karim Hamzah bukan budak yang baru setahun jagung dalam kerajaan Sarawak ataupun politik Bumi Kenyalang yang ditunjangi parti PBB. Apakah kedudukan atau status Sarawak dan khususnya PBB dimata Umno hari ini sudah begitu teruk sehingga boleh dihina tanpa adab di majlis berbuka puasa di bulan Ramadan? Nazri bukan setakat menghina malah mencabar pemimpin PBB itu hanya kerana beliau bersuara mempertahankan kepentingan rakyat Sarawak. "you cakap besar you nak tunjuk samseng, kita lebih samseng lagi" - maknanya Umno parti samseng, bukan begitu? Apakah dalam doktrin Umno hari ini parti komponen Barisan Nasional lain yang bersuara mempertahankan hak dan kepentingan rakyat dianggap 'samseng' dan oleh itu Umno berhak bertindak 'samseng' menghina komponen BN lain? Apa pun yang diperjelaskan selepas ini dengan tujuan 'damage control' akibat keceluparan Nazri yang nyata maruah Sarawak dan Parti Pesaka Bumiputera Bersatu Sarawak sudah tercalar. The ball is now in Sarawak's court. You can either stand up to defend your pride and rights or be an obedient servant and learn how to be a bigger 'samseng' from Umno. Keputusan ditangan kerajaan negeri Sarawak khususnya ditangan Datuk Amar Abang Johari Tun Openg. Penghinaan terbuka terhadap Sarawak dan pemimpin kanan kerajaan negeri oleh pemimpin kanan Umno bukan perkara kecil yang boleh diketepikan begitu sahaja. Abang Jo Ketua Menteri Sarawak tidak perlu berlagak samseng atau menghina sesiapa untuk mempertahankan hak dan maruah Bumi Kenyalang, tetapi jika tiada tindakan atau ketegasan yang menyusul maka peribahasa lembu dicucuk hidung mungkin akan jadi mainan dibibir rakyat. Untuk makluman, penghinaan sebegini tidak pernah berlaku ketika Tun Pehin Sri Taib Mahmud ataupun Tan Sri Adenan Satem menerajui PBB dan kerajaan Sarawak. Kenapa sekarang? Soros mampu jatuhkan pemimpin tinggi Umno Melaka? 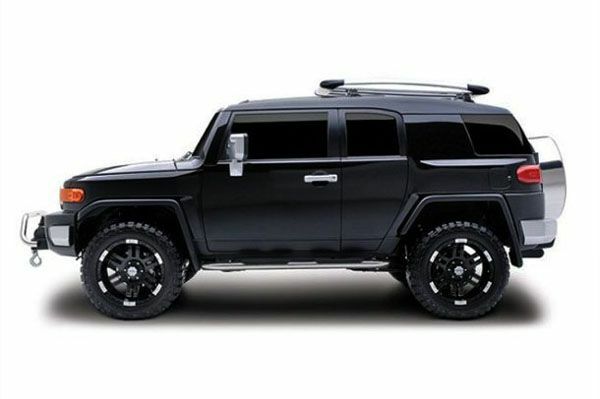 Kenderaan di-atas adalah Toyota FJ Cruiser, iaitu sejenis kenderaan pacuan 4-roda yang agak popular dikalangan peminat 4x4 Malaysia. Purata harga FJ Cruiser adalah dalam lingkungan RM150,000 - 200,000. Tiga buah Toyota FJ Cruiser yang hampir serupa seperti dalam gambar diatas kini berada diperkarangan pejabat Suruhanjaya Pencegahan Rasuah Malaysia (SPRM) Melaka. Dua daripada tiga buah Toyota FJ Cruiser lengkap bercermin gelap itu dirampas dari dua orang VVIP dan seorang individu yang dikenali sebagai Soros. Soros yang kini masih diburu pihak SPRM dipercayai telah menghadiahkan kenderaan tersebut kepada kedua-dua VVIP berkenaan. Untuk makluman pembaca skandal rasuah bernilai RM150 juta (mungkin lebih) ini melibatkan seorang individu dari Melaka yang dikenali sebagai Soros. Umum tahu bahawa Idris Haron dan Soros mempunyai hubungan yang akrab. Kegagalan SPRM untuk mendakwa Soros dimahkamah setelah mendapat restu Pejabat Peguam Negara telah menimbulkan pelbagai persoalan akan campurtangan ahli politik negeri untuk melindungi Soros. Menurut seorang bekas pemimpin tertinggi dari negeri Melaka, skandal Soros ini mampu menamatkan riwayat politik pemimpin tinggi politik dari negerinya. "Jika Soros didakwa maka segala tembelang pemimpin politik berkenaan akan pecah dan besar kemungkinan beliau dan ahli keluarga beliau pun terpaksa didakwa. SPRM tidak boleh membuat pendakwaan terpilih. "Beliau dalam keadaan yang amat terdesak sekarang dan sanggup lakukan apa sahaja untuk menyelamatkan Soros. Skandal ini lebih besar dari Soros dan RM150 juta," katanya. Menurut sumber yang boleh dipercayai Idris Haron telah menemui Perdana Menteri Datuk Seri Najib Razak di Manila dan membincangkan skandal rasuah ini. Idris Haron harus mengadakan satu sidang media khas untuk memperjelaskan skandal yang telah mencemarkan negeri Melaka ini. Mungkin Idris Haron Ketua Menteri Melaka juga tahu siapa lagi yang terlibat dalam skandal rasuah berkenaan. Kenapa SPRM pun tiba-tiba kelu tak berkata-kata? Rakyat sedang perhatikan tindak tanduk kalian. SPRM dan Soros - Siapa lebih berkuasa? 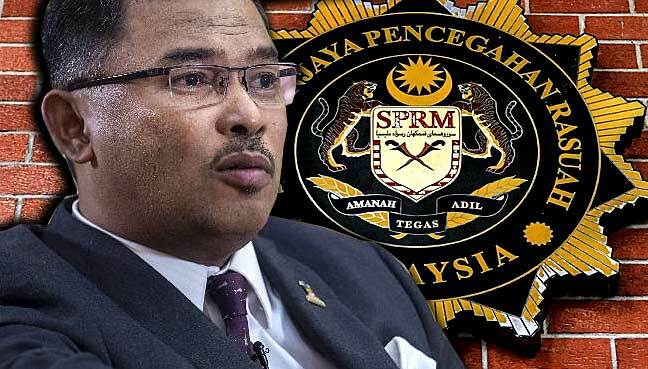 The official is being investigated under Section 53 (3) of the MACC Act and was granted bail of RM100,000 with two sureties, but was rearrested on Dec 2 to assist in investigations into illegal money-laundering activities under Section 4(1) of the Anti Money Laundering Act (AMLA) 2001 and was released under bail of RM100,000, after being detained for 24 hours. In its probe, MACC seized more than RM150 million in cash, vehicles, assets and documents from the official. This included RM41 million in cash and RM12.6 million in bank accounts, 56 land titles belonging to Yayasan Melaka in Sabah and six State Economic Planning Unit (UPEN) files related to land reclamation projects, seven vehicles (two Toyota Vellfires, a Toyota Camry, a BMW, a Proton Waja, a Perodua Myvi and a Proton Exora). Also seized were two Toyota FJ Cruiser four-wheel drive vehicles which are worth about RM200,000 each. 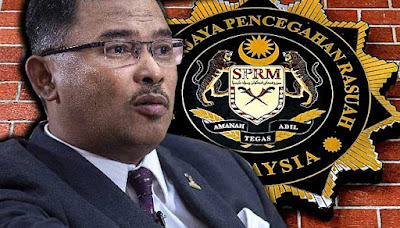 Following his release, the official had initially resumed his duties at the MBMB mayor’s office, before Idris announced in a response to a query from the opposition at the state assembly in February, that the official had been removed from the city council and placed at the Tangga Batu Umno service centre. 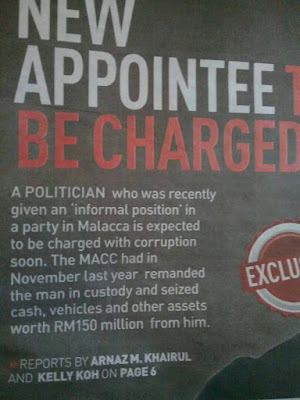 A WARRANT of arrest is out for a politician in Malacca implicated in a multimillion-ringgit corruption scandal. The man was supposed to be charged yesterday with at least 10 counts of offences related to money laundering, but the highly-anticipated court appearance did not materialise. 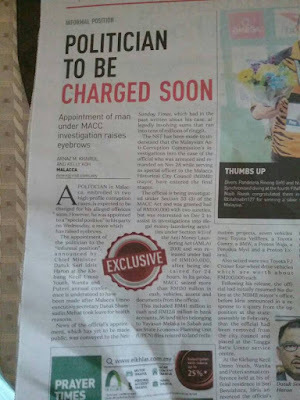 The New Straits Times was made to understand that the Malaysian Anti-Corruption Commission (MACC), which had been granted the arrest warrant by the Malacca magistrate’s court, failed to serve the document on the 56-year-old politician. On Monday night, a state MACC spokesman confirmed that the commission’s case would be brought to the court yesterday. 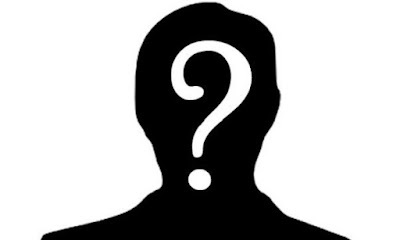 The spokesman yesterday, however, said: “I am sorry, there is indeed a case to be charged (at court) tomorrow (yesterday), but I do not know who. 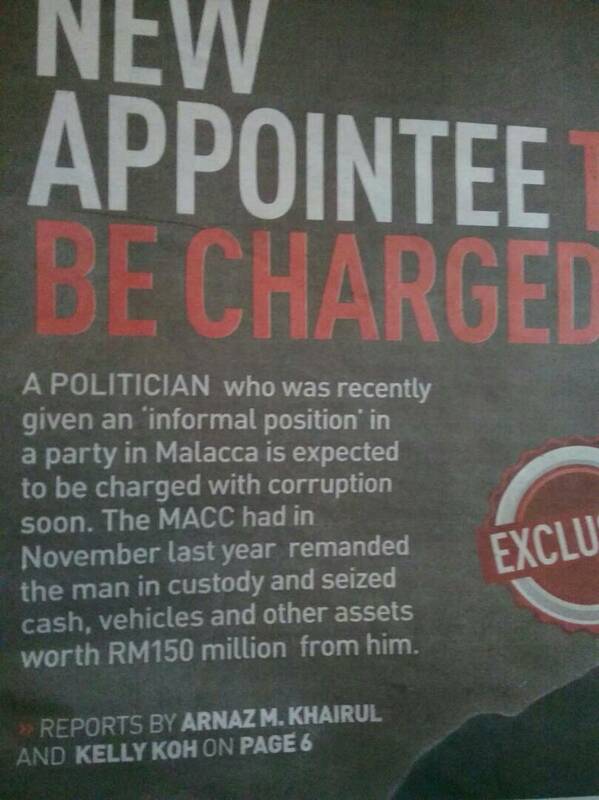 I have not received any information pertaining to this case (as this is handled by MACC headquarters). “I am also awaiting answers from them,” he had said in a text message on Monday. Late yesterday, however, the spokesman told the NST that the corruption case had been shelved to a later date. “No one is going to be charged today (yesterday). It has been postponed. He added that a new date could be as early as the end of next week. Adakah kelewatan mendakwa pemimpin UMNO Melaka satu cubaan "cover up" ? Saya berasa terkejut dengan satu laporan NST bertarikh 26 April 2017 melaporkan bahawa pemimpin UMNO Melaka yang terpalit dengan skandal rasuah RM150 juta belum lagi didakwa. Pemimpin UMNO Melaka itu yang sepatutnya didakwa kelmarin namun beliau tidak muncul di mahkamah dan belum didakwa lagi walaupun waran tangkap telah dikeluarkan terhadapnya. Adalah menjadi rahsia umum bahawa pegawai berkenaan mempunyai hubungan rapat dengan Idris Haron memandangkan Idris sendiri telah diminta memberikan kerjasama oleh SPRM berkaitan dengan kes rasuah pemimpin UMNO Melaka itu pada awal tahun ini. Kegagalan mendakwa pemimpin terbabit menimbulkan pelbagai persoalan kepada orang ramai khususnya rakyat Melaka. Bagaimana beliau masih bebas walaupun waran tangkap telah dikeluarkan ? Dimanakah pemimpin terbabit berada sehinggakan pihak berkuasa gagal membuat tangkap terhadapnya? Apakah beliau dilindungi pimpinan atasan kononnya beliau punyai hubungan secara langsung dengan Ketua Menteri kerana bimbang Idris Haron akan diheret sama? Saya mendesak pihak SPRM tampil dengan segera memberikan penjelasan terhadap kelewatan mendakwa pemimpin terbabit bagi mengelakkan sebarang spekulasi timbul. Saya juga mendesak agar menghentikan sebarang percubaan "cover up" oleh pihak tertentu untuk menyelamatkan pemimpin terbabit. Siapa sebenarnya sipolan yang dikenali sebagai SOROS ini? Bagaimana SOROS ini begitu berkuasa sehingga mampu 'menahan' SPRM daripada menjalankan tugas mereka? Di Johor Exco Kanan Kerajaan Negeri pun ditangkap dan dituduh dimahkamah oleh pihak SPRM tanpa sebarang campurtangan politik, kerajaan ataupun pihak istana. SPRM bebas menjalankan tugas mereka dalam kes profil tinggi di Johor tempohari. Bagaimana SOROS dari Negeri Melaka ini seolah-olah lebih berkuasa dari SPRM? Persoalan yang ditimbulkan Ahli Parlimen Bukit Katil YB Shamsul Iskandar adalah berasas. Sebenarnya persoalan tersebut telah menjadi bualan umum. Apakah benar Ketua Menteri Melaka Datuk Seri Idris Haron turut terlibat dalam kes rasuah ini dimana pihak SPRM telah merampas wang tunai dan harta lain bernilai lebih RM150juta? Apakah benar kertas pertuduhan kini telah kembali ke-meja Peguam Negara Tan Sri Apandi Ali untuk 'dikaji semula' selepas sipolan yang melindungi Soros menggunakan 'talian hayat Putrajaya'? Ini antara persoalan yang timbul dibibir dan minda rakyat ekoran penyebaran beberapa laporan akhbar dan berita dari 'sumber SPRM'. dan keduanya kerana kekebalan seorang pekerja parti politik yang baru-baru ini ditugaskan 'hanya untuk memasang bendera dan kain rentang parti'. Apa nak jadi dengan laungan amaran Ketua Pesuruhjaya Datuk Dzulkifli Ahmad jikalau tukang pasang bendera pun boleh jentik SPRM dari jauh? Mungkin Dzulkifli harus segera menemui Apandi Ali dan menjernihkan pandangan umum akan kewibawaan SPRM. Yang menjadi percaturan sekarang adalah maruah SPRM yang sedang cuba dipulihara selepas rosak teruk akibat siasatan skandal 1MDB dan SRC International. Pasti Dzulkifli dan Apandi masih ingat akan episod 1MDB dan SRC yang masih belum berkesudahan itu. Ada kes boleh jadi tak ada kes dan yang tak ada kes tiba-tiba boleh jadi ada kes. Yang ini apa kes-ah ? While walking down the street one day a Malaysian politician is tragically hit by a truck and dies. 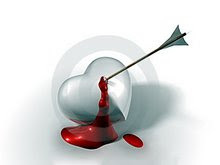 His soul arrives in heaven and is met by an angel at the entrance. "Welcome to heaven," says the angel. "Before you settle in, it seems there is a problem. We seldom see a high official around these parts, you see, so we're not sure what to do with you." "Well, I'd like to, but I have orders from higher up. What we'll do is have you spend one day in hell and one in heaven. Then you can choose where to spend eternity." "I'm sorry, but we have our rules," says the angel. And with that, the angel escorts him to the elevator and he goes down, down, down to hell. The doors open and he finds himself in the middle of a green golf course. In the distance is a clubhouse and standing in front of it are all his friends and other politicians who had worked with him. Everyone is very happy and dressed in the finest batik there is. They run to greet him, shake his hand, and reminisce about the good times they had while getting rich at the expense of the people. They play a friendly game of golf and then indulge themselves on lobsters, caviar and the most expensive food there is. Also present is the devil, who really is a very friendly guy who has a good time dancing and telling jokes. They are having such a good time that before he realizes it, it is time to go. The elevator goes up, up, up and the door reopens on heaven where the angel is waiting for him. So, 24 hours pass with the Yang Berhormat joining a group of contented souls moving from cloud to cloud, playing the harp and singing. They have a good time and, before he realizes it, the 24 hours have gone by and the angel returns. The Yang Berhormat reflects for a minute, then he answers: "Well, I would never have said it before, I mean heaven has been delightful, but I think I am better off in hell." So the angel escorts him to the elevator and he goes down, down, down to hell. Now the doors of the elevator open and he's in the middle of a barren land covered with waste and garbage. The devil comes over to him and puts his arm around his shoulder. "I don't understand," stammers the Yang Berhormat. "Yesterday I was here and there was a golf course and clubhouse, and we ate lobster and caviar, drank champagne, and danced and had a great time. Now there's just a wasteland full of garbage and my friends look miserable. What happened?" The devil looks at him, smiles and says, "Yesterday we were campaigning just like you during an election...... Today YOU voted." Sometimes you find such gems in whatsapp groups. Thank you. Nothing2Hide2 - Padang Rengas bacul ? Padang Rengas pun tak selamat jugak? Menepati jangkaan ramai, debat yang dinanti-nanti oleh sebahagian besar rakyat Malaysia ini besar kemungkinan akan dibatalkan. Ini kali kedua debat yang tertumpu kepada skandal 1MDB dibatalkan atas alasan keselamatan dan sebab-sebab teknikal yang lain. Debat #Nothing2Hide pertama di antara Dr Mahathir dan Perdana Menteri Datuk Seri Najib Razak pada 5hb Jun, 2015 dibatalkan pada minit-minit terakhir apabila Najib tidak muncul. Alasan keselamatan juga digunapakai walaupun venue debat adalah di PWTC Kuala Lumpur. Kegagalan Najib untuk berdepan dengan Dr Mahathir dalam wacana/debat #Nothing2Hide itu masih mencerminkan kebaculan presiden Umno itu hingga ke hari ini. Besar kemungkinan debat/wacana di Padang Rengas pada kali ini akan dibatalkan, atas alasan yang sama, melainkan Nazri berjaya meyakinkan pihak Polis untuk memberi kelulusan. Sebenarnya halangan dari pihak berkuasa ini sudah dijangkakan dari titik permulaan lagi kerana pengalaman #Nothing2Hide pada tahun 2015. Mana mungkin ada tempat yang 'lebih selamat' dalam negara kita jika PWTC dimana ibupejabat Umno tersergam pun boleh dianggap tidak selamat untuk program wacana mengenai 1MDB. Halangan terhadap wacana berkenaan skandal 1MDB ini bertambah jelas apabila menteri kerajaan dan jurucakap Umno 'memutuskan' hubungan dengan Nazri. Mereka membuat kenyataan bahawa Ahli Parlimen Padang Rengas ini tidak mewakili kerajaan ataupun Umno dalam wacana/debat ini. Rakyat nampak akan kegusaran dipihak pendukung Najib dalam kerajaan dan pengampu tegar presiden dalam Umno. Kegusaran akan perbincangan terbuka skandal 1MDB Najib Razak amat ketara. Namun penganalisa dan pemerhati politik menyimpan sedikit harapan apabila Nazri memberitahu media bahawa beliau telah berunding dengan Timbalan Perdana Menteri merangkap Menteri Dalam Negeri Datuk Seri Zahid Hamidi dan pihak KDN tidak mempunyai apa-apa halangan atau masalah dengan wacana/debat bersama Dr Mahathir di Padang Rengas. Menurut Nazri, Datuk Seri Zahid Hamidi, yang juga menteri dalam negeri, beri jaminan akan meluluskan permohonan permit daripada pihak penganjur. “Ya betul. Baguslah sebab saya sudah jumpa dengan TPM (Zahid) pada Khamis lepas di Parlimen. Hari ini lain pula certitanya, lebih kurang seperti #Nothing2Hide pada tahun 2015. Nampak seolah-olah janji Timbalan Perdana Menteri pun sudah tidak boleh dipegang. Ada rakan yang berpendapat Nazri tidak berani berdepan dengan Dr Mahathir dan telah menggunakan pihak berkuasa untuk membatalkan wacana/debat ini. Saya tidak berapa setuju dengan pendapat ini. Pada pendapat saya inilah perbezaan diantara Nazri Aziz dan Najib Razak. Nazri bukan bacul. 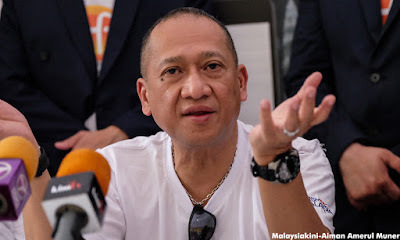 Nazri mungkin sedang cuba untuk menegakkan benang yang basah demi kelangsungan politik dan untuk menyelamatkan Najib dari dihadapkan ke muka pengadilan, tetapi Nazri Aziz yang saya kenali bukan jenis manusia bacul yang mengharapkan jurucakap seperti Salleh Said Keruak dan Rahman Dahlan untuk melindunginya. Oleh sebab inilah saya berpendapat wacana/debat di antara Dr Mahathir dan Nazri berkenaan skandal 1MDB dan jenayah Najib boleh dan akan diteruskan dengan perancangan yang lebih baik. Jika Ahli Parlimen Padang Rengas tidak berjaya meyakinkan pihak Polis mungkin debat/wacana ini boleh diadakan ditempat/tarikh lain dalam keadaan yang lebih 'selamat'. Jika perlu kita boleh mengadakan wacana/debat ini disalah sebuah dewan didalam kawasan Ibupejabat Polis Persekutuan di Bukit Aman, Kuala Lumpur. 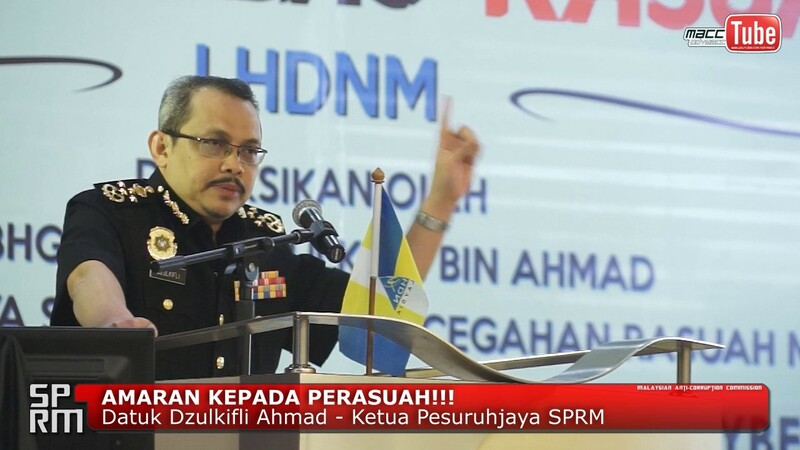 Kita sewa dewan dari PDRM, soal keselamatan tidak mungkin muncul dalam kawasan Bukit Aman. Perdana Menteri dan Presiden Umno Datuk Seri Najib Razak pun boleh turut serta dalam wacana/debat yang dicadangkan di Bukit Aman ini... jika Najib bukan bacul. Yang pasti Tun Dr Mahathir Mohamad sudah bersedia sejak sebelum #Nothing2Hide yang pertama pada tahun 2015. Perdana Menteri Datuk Seri Najib Razak bercakap bohong tanpa segan silu dihadapan orang ramai. Ini bukan kali pertama Najib berbohong untuk mengelirukan rakyat tetapi isu hak milik tanah di Forest City Johor adalah antara pembohongan besar yang melibatkan isu kedaulatan negara. “Bila kerajaan negeri Johor luluskan Forest City, bila tanah itu ditebus, reclaim land, kita jual kepada orang luar atas leasehold (pegangan pajak) untuk tempoh 99 tahun sahaja. 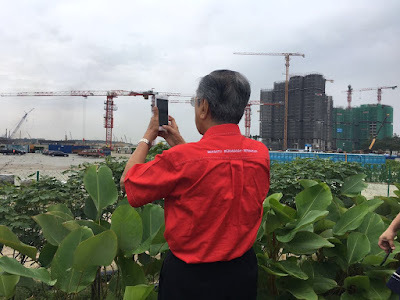 Dalam laporan yang disiarkan pada 20hb Januari yang lalu Najib berkata dakwaan Tun Dr Mahathir Mohamad tentang Forest City adalah fitnah. 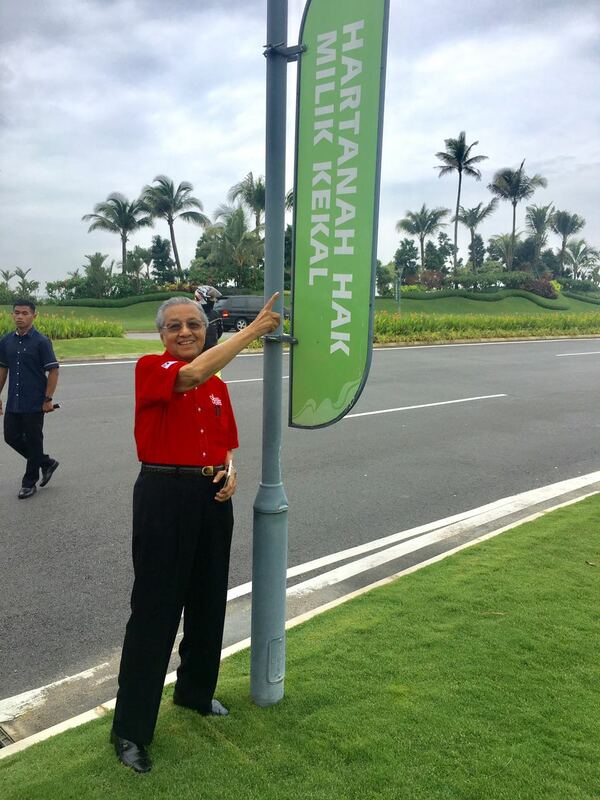 Di bawah adalah bukti yang disahihkan sendiri oleh Tun Dr Mahathir Mohamad ketika melawat Forest City pagi tadi. Siapa sebenarnya yang bercakap bohong dan berusaha memperdaya rakyat Malaysia, khususnya orang Johor, akan kedudukan sebenar pembangunan Forest City dan penglibatan pihak berkepentingan? Penjualan terus kawasan pesisiran laut yang ditambak menerusi hak milik kekal kepada warga asing bukan isu kedaulatan negara? Rakyat wajar berfikir secara serius dan jangan hanya berharap kepada pagar yang sudah makan padi. 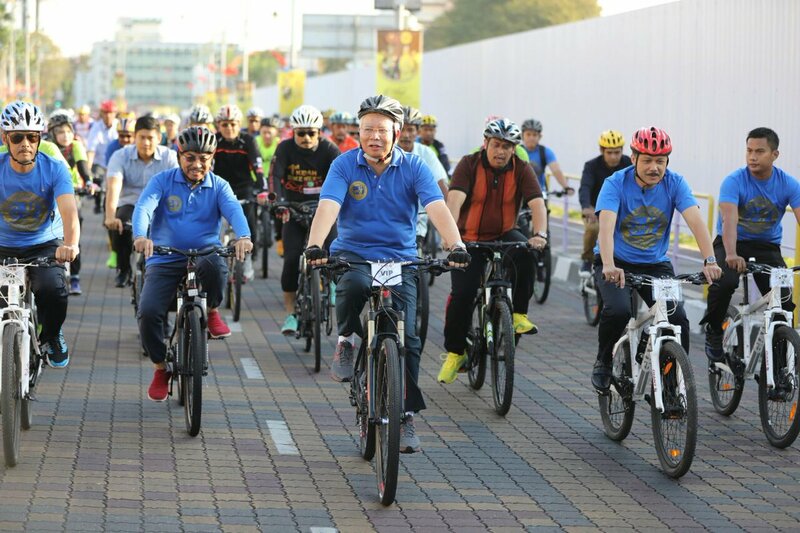 Setelah diberi hak milik kekal, Najib Razak telah meluluskan Forest City sebagai kawasan bebas cukai. Siapa yang bakal memperolehi manfaat dari status bebas cukai kawasan yang dimiliki orang asing? Rakyat wajar berfikir tanpa dikaburi sentimen bangsa, negeri atau perkauman. Jangan takut menegak kebenaran. Pembohongan demi pembohongan yang di ulang tayang demi untuk menegak kebatilan tidak mungkin akan berjaya. Rakyat harus berfikir berdasarkan fakta agar nasi tidak menjadi bubur dan kita menyesal dikemudian hari. Yang sanggup berkomplot menukar status bumiputera kepada bukan bumiputera pun bukan orang lain. Maklumat selanjut berkenaan Forest City di-SINI. Mungkin Datuk Seri Khaled Nordin boleh keluar dari kepompong menjelaskan isu ini jika peranan beliau bukan sekadar budak suruhan. Ancaman terhadap kedaulatan dan hak negara tidak terbatas kepada projek mega negara China di Forest City Johor. Kerajaan negeri Melaka dibawah pimpinan Datuk Seri Idris Haron juga, berdasarkan bukti hitam putih, telah memberikan hak milik kekal untuk kawasan pesisir pantai seluas 609 ekar yang ditambak. Idris Haron masih belum menjelaskan bagaimana kawasan pesisir pantai kita boleh diserah kepada pihak lain dengan hak mutlak milik kekal, lebih-lebih lagi bila ianya melibatkan pegangan orang asing. Mungkin Idris Haron masih sibuk berhadapan siasatan SPRM di bumi Hang Tuah tetapi isu pemberian hak milik kekal untuk kawasan pantai yang ditambak ini harus diperjelaskan secepat mungkin. Ini soal kedaulatan negara, bukan soal cantas mencantas dalam parti jualan langsung. Banyak juga duit yang masuk kedalam akaun bank peribadi pemimpin dan anak-anak mereka di Johor dan Melaka ni. Negeri lain macam mana? Rakyat yang waras harus tahu bahawa matlamat kita hanya satu. Rakyat, khususnya yang dewasa dizaman kegemilangan negara, tahu akan kedudukan sebenar kita pada waktu ini. Kedudukan kita merosot walau dinilai dari sudut mana sekalipun. 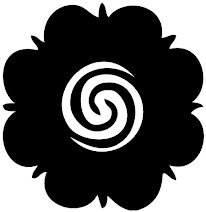 Dipentas antarabangsa kita kini dikenali sebagai salah sebuah negara yang tenat, diantara sepuluh negara paling tenat, diserang wabak rasuah. Penyakit rasuah ini telah menjadi wabak merbahaya yang mengancam melumpuhkan sistem pentadbiran negara diperingkat tertinggi. Sistem check and balance seakan lumpuh apabila rasuah, salahguna kuasa dan perlakuan merompak harta negara (kleptokrasi) diperingkat tertinggi pentadbiran hanya mampu ditonton secara berjemaah. Rakyat sedar akan keadaan sebenar walaupun sering digula-gulakan dengan pelbagai hadiah dan wang ringgit. Langkah-langkah populis berniat mengaburi mata dan hati rakyat hanya langkah sia-sia. Rakyat tidak lagi boleh dibohongi dengan putar belit murahan di arus perdana. Rakyat yang sihat akal fikiran juga tidak mungkin termakan hasutan berunsur agama atau perkauman kerana yang waras tahu ini hanya mainan golongan yang terdesak. Di Malaysia kita ini tidak ada masalah agama atau sengketa antara kaum, yang ada hanya segolongan kecil manusia yang takut kehilangan kuasa jika rakyat bersatu dan bangun menolak mereka. Yang paling takut dikalangan mereka yang takut pastinya Datuk Seri Najib Tun Razak, presiden Umno dan Perdana Menteri Malaysia. Rakyat tahu kenapa dan mengapa mereka ini takut. Tidak perlu diperjelaskan panjang lebar, cukup setakat dirujuk siasatan SPRM dan pembongkaran terbesar Jabatan Keadilan Amerika Syarikat. Yang terlibat secara langsung dalam jenayah kleptokrasi, salahguna kuasa dan khianat takut diheret kemuka pengadilan jika kuasa terlepas dari tangan mereka. Ini hakikatnya. Yang bersubahat berdiam diri demi kepentingan peribadi juga pasti tidak akan terlepas. Ketakutan ini benar. Mungkin rakyat sudah tidak mampu melakukan apa-apa lagi untuk memperbetulkan keadaan menerusi saluran-saluran yang termaktub dalam undang-undang dan perlembagaan. Agak malang sekali kerana rakyat terpaksa menunggu pilihanraya umum untuk menangani perbuatan jenayah diperingkat tertinggi pentadbiran negara. Malang kerana saluran-saluran sediada telah lumpuh dalam kes skandal 1MDB, kecurian berbilion ringgit dan kehilangan harta pusaka negara. Kepentingan peribadi telah mengatasi kepentingan keseluruhan rakyat dan negara Malaysia. Sudah jelas lagi bersuluh. Rakyat tahu tetapi ramai juga yang masih tertanya-tanya bagaimana kepentingan seorang individu boleh mengatasi kepentingan rakyat dan kedaulatan negara. Kenapa keadaan ini berterusan tanpa penyelesaian? 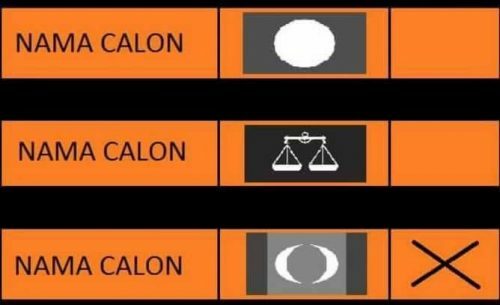 Usaha untuk terus memperbodohkan orang Melayu, terutamanya ahli dan orang Umno, demi untuk menutup pekong peribadi pemimpin tidak mungkin berhasil. Melayu bukan lagi hak mutlak Umno. Sebenarnya Umno yang bersekongkol dengan penjenayah yang mengkhianati negara sudah hilang kelayakan untuk mewakili rakyat Malaysia, khususnya orang Melayu. Umno hari ini sudah kehilangan kedudukan moral kerana secara terang-terangan membelakangkan kepentingan agama, bangsa dan negara... seperti yang sering dilaungkan. Rakyat tahu dan pasti mahu kegemilangan negara dikembalikan. 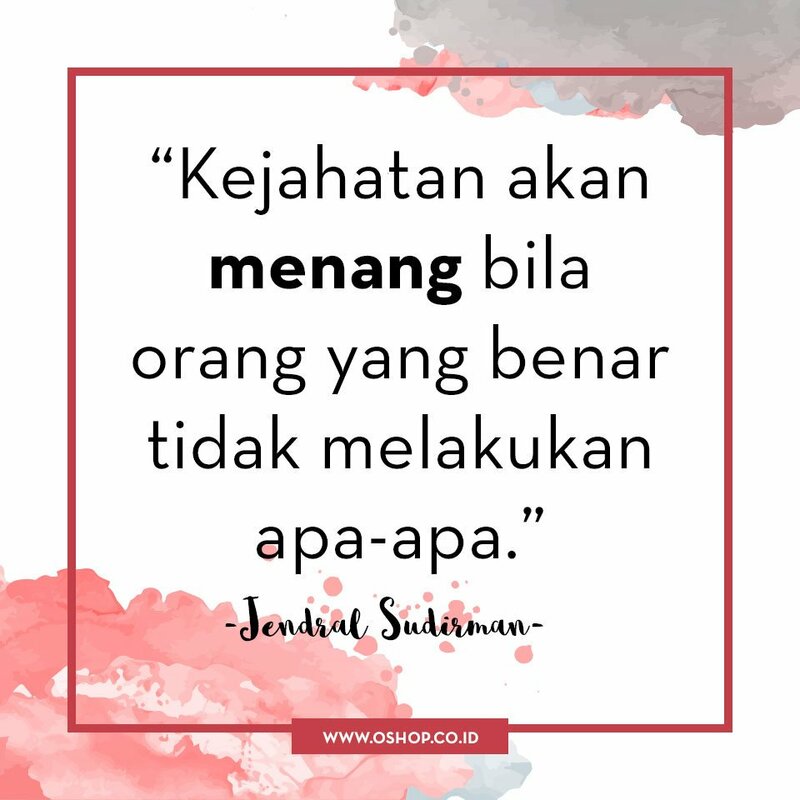 Seharusnya keadaan kita jauh lebih baik dari 10 atau 20 tahun yang lalu tetapi apakah itu kedudukan kita pada hari ini? Rakyat dapat merasakan beban yang dipikul hari ini. Kita menanggung beban bukan kerana bencana alam tetapi bencana yang diundang dengan rasuah, salahguna kuasa dan pencurian. Segala bentuk subsidi dilupus tiba-tiba dan cukai baru diperkenalkan secara paksa walaupun ianya jelas membebankan rakyat. Kenapa tindakan terdesak sedemikian jika segalanya bagus dan berkembang maju seperti yang dicanang? Hutang negara semakin tinggi. Beban kos sara hidup semakin berat. Semakin ramai yang kehilangan pekerjaan. Dimana kedudukan ekonomi kita? Rakyat wajib menyelamatkan negara ini dari cengkaman mereka yang sudah terpesong jauh dari landasan. Kita harus bertekad untuk menyelamatkan Malaysia, ini matlamat utama. Pilihanraya umum yang akan datang adalah medan kita. Yang terdesak mungkin akan meneruskan dakyah dan tipu helah sehingga ke penghujung jalan tetapi rakyat yang waras harus bertekad untuk menyelamatkan Malaysia dari yang mungkar. Rakyat mesti mengenepikan segala perbezaan yang lain dan bersatu demi negara kita. Jangan kita biarkan nasi menjadi bubur. Menentang kemungkaran tanpa mengira agama, bangsa, kedudukan atau jawatan adalah tuntutan agama. Agama Islam dan hampir semua agama lain yang dikenali dunia menentang kemungkaran secara khusus. Rakyat Malaysia tahu siapa mungkar. Tak mungkin rakyat Malaysia yang sihat akal fikiran sanggup membelakangkan ajaran dan tuntutan agama demi untuk mempertahankan BR1M. Tak mungkin kan? Listen to the gentleman in the video. He is Michael Hershman an International Anti Corruption Conference (IACC) council member. He was commenting on the USD 700 million (RM2.6 billion) in Umno president Datuk Seri Najib Razak's personal bank account. This was in September 2015 during the 16th IACC in Putrajaya. - Don't cover up, don't obstruct justice because it doesn't work. 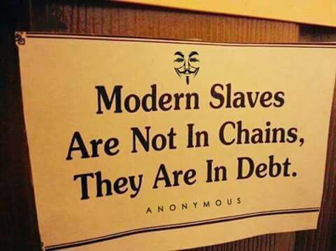 Tell the truth. - It is not going to go away. Delay is not going to make this issue go away. The truth will come out. Transparency International chief Jose Ugaz who spoke at the opening of the conference too was openly critical of the suspected criminal. - There are two questions that need to be answered: Who paid the money and why? Where did it go? - One man could answer those questions. If that does not happen then only a fully independent investigation, free from political interference, can uncover the truth. - Until that happens, no claim from the government on anti-corruption will be credible. 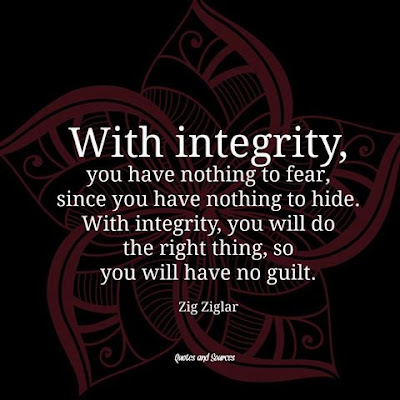 - "Most insidious of all is political corruption. The twisting and distorting of the law by governments plagued by cronyism and captured by special interests"
Almost one and a half years have gone by since global anti-corruption movement leaders spoke out against the Umno president's infamous billions of ringgit in his personal bank account. That one man who could answer those questions have not done so. In fact he is bolder in his lies and deception without regards to rule of law or morality. There is not even an iota of decency, dignity or trustworthiness left in him. A fully independent investigation, free from political interference, to uncover the truth, as suggested by Jose Ugaz, is now timely. Ordinary Malaysians would welcome such an open investigation led by prominent, independent international investigators who seek truth above everything else. 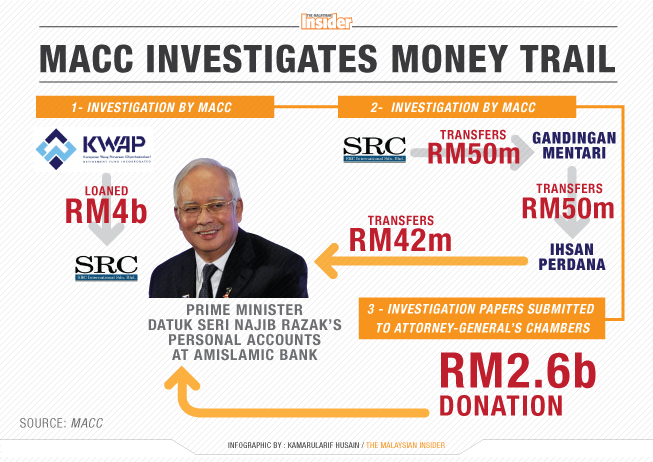 Probably Transparency International could take the lead to uncover the evasive truth surrounding the approximately USD700 million in the Malaysian Prime Minister's personal bank account. We must start somewhere to try and recover the billions of ringgit siphoned from the government of Malaysia via multiple financial tricks and investment scams. 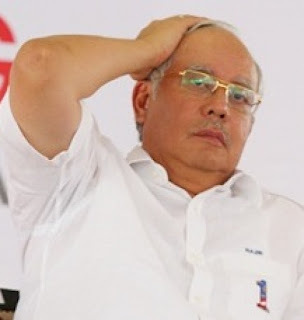 Why not start the ball rolling with the 700 million US dollars in Najib's Ambank account. After all he is the root cause of the biggest financial/corruption/kleptocracy scandal in the history of Malaysia. Setakat ini pelbagai percubaan telah dilakukan untuk mengalih perhatian umum dari skandal 1MDB yang melibatkan Presiden Umno Datuk Seri Najib Razak. Najib yang juga perdana menteri terlibat secara langsung dalam skandal 1MDB dan telah terbukti menerima lebih RM2.6 bilion ringgit dalam akaun peribadi di Ambank. Hutang yang ditanggung akibat skandal 1MDB telah melampaui 50 bilion ringgit. Jumlah terkini mungkin lebih dari itu. Selain kehilangan maruah dan dikenali kerana rasuah dan kleptokrasi dipersada antarabangsa Malaysia juga semakin kelihatan sebagai gundik kuasa komunis Republik China. Kenapa kita seakan terhutang budi dengan pemerintah komunis China sehingga berkelakuan aneh bertentangan dengan dasar hubungan luar negara? Apakah ini kesan kita meminjam atau bersetuju untuk meminjam berpuluh bilion ringgit dari China? Kenapa wilayah milik negara ini digadai sewenang-wenangnya menerusi anugerah hak milik kekal kepada syarikat syarikat dari negara China? 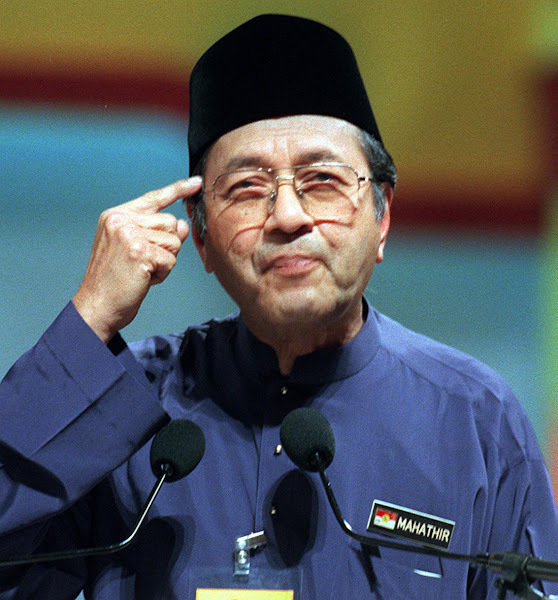 Individu yang paling layak menjawab persoalan ini adalah perdana menteri yang juga menteri kewangan, yang turut memegang jawatan tertinggi dalam 1MDB dan Umno. Kenapa Najib enggan berterus terang? Laporan 1MDB Ketua Audit Negara masih berselindungi disebalik Akta Rahsia Rasmi. Kenapa laporan itu menjadi rahsia? Dalam keadaan biasa, jika Umno dan Barisan Nasional berfungsi berdasarkan matlamat penubuhan dan sumpah setia mereka, Najib mungkin telah dilucutkan jawatan dan dihadapkan kemuka pengadilan. Malangnya negara kita telah menjadi luarbiasa sejak pemecatan Peguam Negara terdahulu Tan Sri Gani Patail sekitar bulan Julai 2015. Wang tunai lebih RM2.6 bilion dalam akaun peribadi Najib masih belum dijelaskan, lebih-lebih lagi setelah perbicaraan dan siasatan negara luar mendapati 1MDB sebagai sumber duit tersebut. Cerita Pak Arab sudah tidak boleh diterima pakai berikutan bukti yang dikemukakan. Sebahagian besar salahlaku, kecurian, pengkhianatan dan jenayah terhadap negara ini tersenarai secara terperinci dalam laporan siasatan awal Jabatan Keadilan Amerika Syarikat. Segala persoalan ini tidak dijawab. 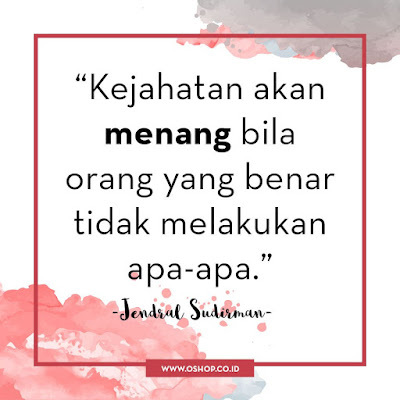 Bukan saja tidak dijawab malah yang menyoal ditindas, diugut dan dipenjara. Pemimpin Umno yang letak jawatan kerana 1MDB pun diugut dan diaibkan dengan skandal seks yang direkacipta. Rakyat biasa cuba dikelirukan dengan pelbagai cerekarama politik yang dimainkan saban hari menerusi media yang dijadikan alat putar belit. Cerekarama terbaru terbitan Umno adalah siri jelajah Umno dan BN untuk menjelaskan kenapa kerugian urusniaga mata wang asing Bank Negara pada tahun 90an harus disiasat sekarang, setelah hampir 30 tahun. Lain bengkak lain pula yang bernanah. Inilah tahap luarbiasa dalam negara kita pada masa ini. Penasihat mana yang kata rakyat Malaysia, khususnya orang Melayu ini dangkal sangat sehingga boleh ditarik kesana kemari seperti lembu dicucuk hidung? Bangsawan rasa orang bawahan bodoh? Rakyat tahu apa yang berlaku. Rakyat merasai kesan langsung kepincangan pentadbiran negara sekarang, bukannya kerugian dagangan tiga dekad yang lalu. Siri jelajah yang diumumkan ketua penerangan Umno yang agak 'popular' itu hanyalah satu lagi putar belit dalam siri putar belit untuk mengaburi mata rakyat. Rakyat tahu. Putar belit terbaru ini begitu ketara sehingga tidak layak pun untuk dikategorikan sebagai propaganda. Propaganda harus ada class, ini hanya sekadar putar belit murahan. Harap Tan Sri Ketua Penerangan Umno lebih berjaga-jaga dengan dana berpuluh juta yang harus diperuntukkan untuk siri jelajah putar belit ni. Bukan apa, kes siasatan SPRM kat Mara pun belum selesai. Rintihan salah seorang penguatkuasa undang-undang yang ditindas. Sabah state election in April ? 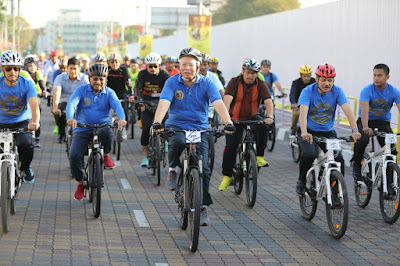 POLITICAL CYCLE... Musa Aman traveled all the way from Kota Kinabalu to Alor Setar to cycle alongside Najib Razak in this early ride on Feb 11, barely 12 hours after news of an impending resignation of a senior BN minister broke out late on Feb 10, 2017. Sabah could go for an early election, probably within the next two months, in a ruling party's move to test political undercurrents and general sentiments. It is a decision made for Sabah, by Putrajaya. Candies and cookies are being actively prepared to woo voters. They come with tags, worth at least a few billion ringgit. Santa Claus could be expected to roam the land below the wind, long before Christmas this year. Up for grabs would be 60 state seats. The outcome would set the tone for the next election. The 14th general election. 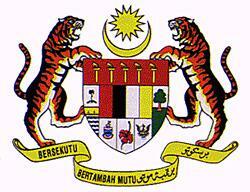 Sabah has 25 parliamentary seats. In Sabah, Barisan Nasional represents 48 state constituencies and Datuk Panglima Musa Aman the BN chairman leads the government as the chief minister. Musa has been in that position for the last 14 years. He could be well on his way out. 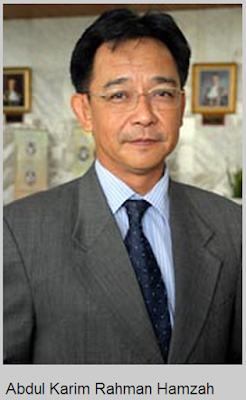 Sabahans are being offered a new Chief Minister. The little cabinet is of the view that removing Musa would be a game changer, sort of a breath of fresh air to override negative sentiments against BN and its national leadership. But removing Musa could work both ways. It may well be the solution but also highly likely to be the achilles heel to BN in Sabah and elsewhere. 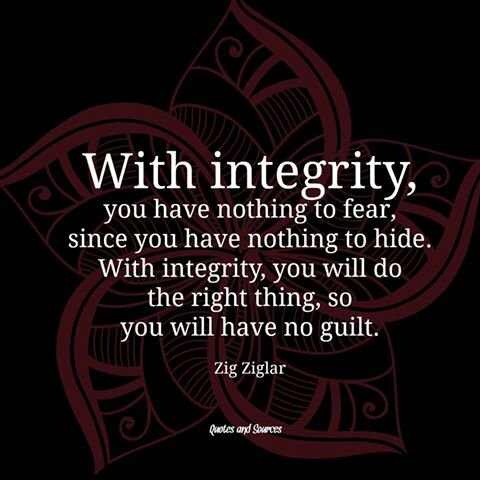 When Selangor Mentri Besar Datuk Seri Azmin Ali queried, via his Twitter site, if a senior minister had tendered his resignation due to the 1MDB scandal a couple of days ago, there were streams of denials and ridicule. Which member of the federal cabinet could have likely thrown in the towel after a gush of consciousness over 1MDB? Reading between the lines were interesting. Najib said he would consider Azmin a liar if the mentri besar failed to name the quitting minister. Azmin responded that his query was based on a personal chat with a particular minister. It's from the horse's mouth, he stressed. Hours later, speaking from Kota Kinabalu, Deputy Prime Minister Datuk Seri Zahid Hamidi nailed it. He announced that the minister rumoured to have tendered his resignation was NOT Foreign Minister Datuk Seri Anifah Aman. Why the focus on Anifah Aman, the younger brother of Musa Aman the chief minister? Azmin did not name Anifah. 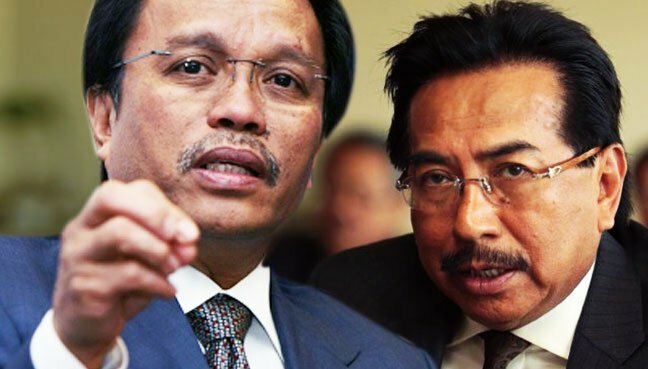 Its unlikely both Musa and Anifah are on their way out although Salleh Said Keruak and Rahman Dahlan may appear increasingly impatient. But Anifah has been rather quiet lately. Talk of the minister having tendered his resignation was quite low-key, mainly due to two other similar previous rumours in the not so distant past. As Foreign Minister, Anifah would certainly have more reasons to tender his resignation now than any other instance in the history of our nation. That is obvious as far as Wisma Putra stands today, or rather crouches these days. Certainly Anifah must be having a tough time trying to reconcile his 'no-nonsense' stature with having to ignore concessions for multiple FDIs from China. China's foreign direct interferences in Malaysia is increasingly evident after their controversial foreign direct investments. The Chinese embassy appears busy with local issues and partisan politics, to the extend of breaching diplomatic norms and criticising Malaysian leaders. China is taking its OBOR a bit too far. Maybe Anifah has learned to tolerate foreign lectures on 'how to address the former President of Taiwan or what should be an Asean communique'. Maybe not, but the tough-talking foreign minister has been very silent. Talk has it that an impending resignation has been tentatively put on hold after a fast direct intervention, another FDI, by the prime minister. A two hour negotiation at a leading hospital's cardiac care unit ward in Kuala Lumpur seems to have put things on hold pending the outcome of an ongoing horse trading. In a latest development, sources say, the Ketua Pemuda Umno Malaysia post (to be delivered during the next party election) has been added to the plate to persuade Musa Aman to a smooth transition. 'The youth chief post is for CM's son who is currently Sabah youth chief. CM could be made the next Governor of Sabah. Basically he doesn't have any choice, especially with the recent SPRM cases involving Jabatan Air," a Sabah state assemblyman opined. The bigger question, according to the native leader, is who will be Musa Aman's successor. Anifah may not last with a new state BN leader. "Putrajaya is pushing for Datuk Panglima Salleh Keruak but the local sentiment favours Datuk Seri Panglima Hajiji Noor (Sulaman state assemblyman). I won't be surprised if the state BN officially proposes Hajiji. He is a well liked leader who is capable of being that game changer. "Rahman Dahlan is not even part of the equation," the assemblyman quipped. A long-time Musa aide who played a pivotal role in negotiations during the 2013 Lahad Datu incursion painted a rather defiant picture when deliberating these latest developments in Sabah politics. He vouched that Musa still enjoyed strong support and is capable of turning the tables if he is pushed to the corner. "When Tun M (Dr Mahathir Mohamad) and Anwar Ibrahim could shake hands and make up we cannot rule out or be surprised if Musa Aman and Shafie Apdal decide to bury the hatchet. Politics is the art of the impossible," he said, assuring that the coming state election would be an interesting affair. Whether the election is held separately in April as planned or done together with states from the peninsula in September/October, Sabah is a political time bomb to many an observer. Who dares rule out Shafie Apdal as the next Chief Minister of Sabah?